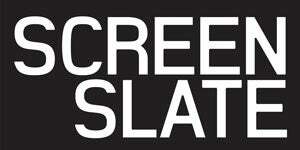 Hi we're Screen Slate, and this is a jackass reader. This slim compendium blends critical discourse, personal musings and illustration to grapple with the complex legacy of Jackass. Inside, readers will find essays on the stunt/prank/art/skating collective’s reflections of class, masculinity, early cinema, skateboard culture and performance art. Since the series introduced its brand of merrymaking on MTV in 2000, several members of its crew have become pop culture figures and YouTube has generated billions of dollars trafficking in physical challenges and fails. It is past time we situate Jackass in its variety of cultural contexts. 30 pages | Perfect Bound Softcover | Full color | 5.5" x 8.5"